Driving a Maserati is far more than just a luxury vehicle. It is the status symbol that many people want, and it is also an extremely exhilarating experience. For those who want the best, a Maserati is really the only option to consider. 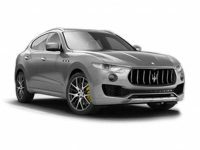 Most people who want to drive these vehicles are going to want to keep up with the latest features and models, which is why Maserati leasing makes so much sense. You can get a new vehicle every few years so youre always driving the best. If you are in the NYC or Brooklyn area, we offer the best Maserati leasing experience possible. We have been helping people get the high end leasing services they desire since 2008, and during that time we have quickly become the go to company for these incredible vehicles. Whether youve settled on getting a Maserati or you are still considering your options, we would be honored to have you come into one of our five area locations to see how we can help. We either have in stock, or can get from the factory, every type of Maserati that you could want. 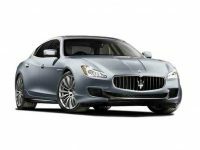 This includes their incredible Ghibli, the Quttroporte and the Granturismo models. You simply wont find better vehicles on the road, and that applies to every aspect of these great cars. There is no doubt that they are the hottest looking vehicles. When it comes to speed, power, handling and other features, the Maserati is really like no other. If you are even considering leasing a Maserati, we encourage you to come in and speak with one of our auto leas experts. We can talk to you about your options and answer any questions you might have about this beautiful vehicle. 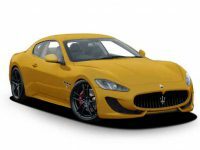 If you are thinking about Maserati leasing, you clearly dont want to have to worry about a thing. This is one of the best things about leasing from us. We will handle everything for you so you can sit back, relax and enjoy the process. Many people want a Maserati with the exact features they have in mind, which is a great way to buy. 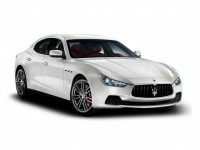 We work directly with the Maserati factory and can have your new vehicle delivered directly to you quickly and easily. In addition, since we offer flexible terms, you can ensure your lease expires right at the time when youre ready for a new model. This is the ideal way to ensure you are always driving the vehicle of your dreams. Car Lease Specials has locations in Manhattan, Yonkers, Westchester, Brooklyn and Paramus, NJ. We can have your vehicle brought to any location, or delivered directly to your home or business. Our goal is to always ensure everything is as fast and easy as possible for every one of our customers, which is why we have been so successful. As one of the leading leasing companies in NYC, we have grown quickly since we opened in 2008, and we would love the opportunity to show you why.